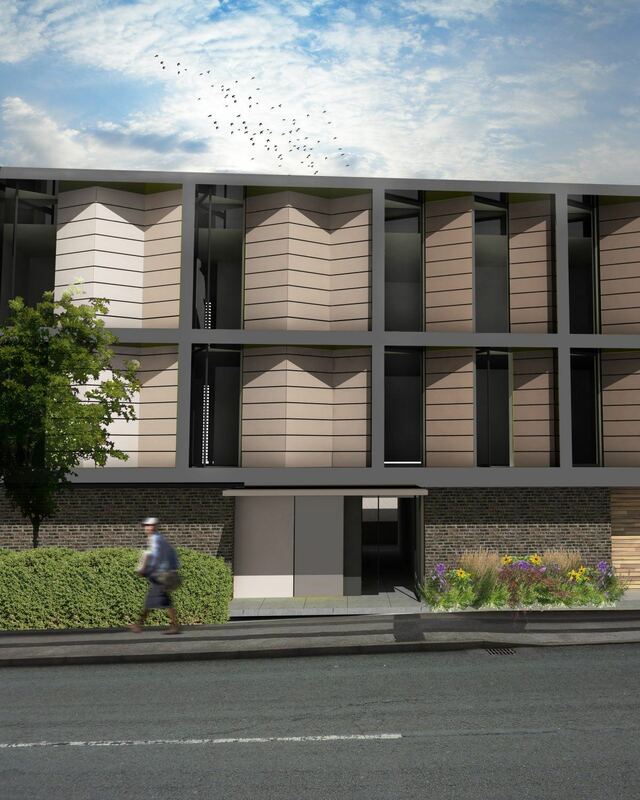 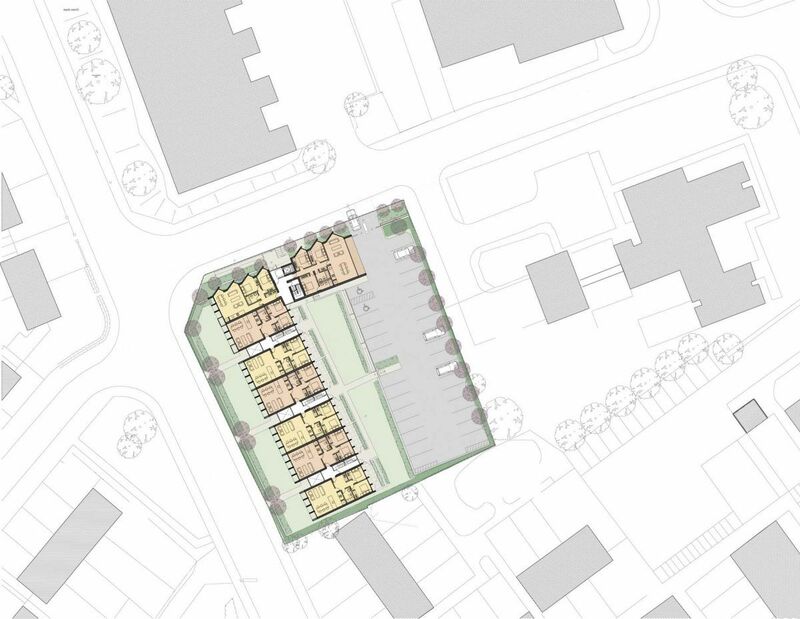 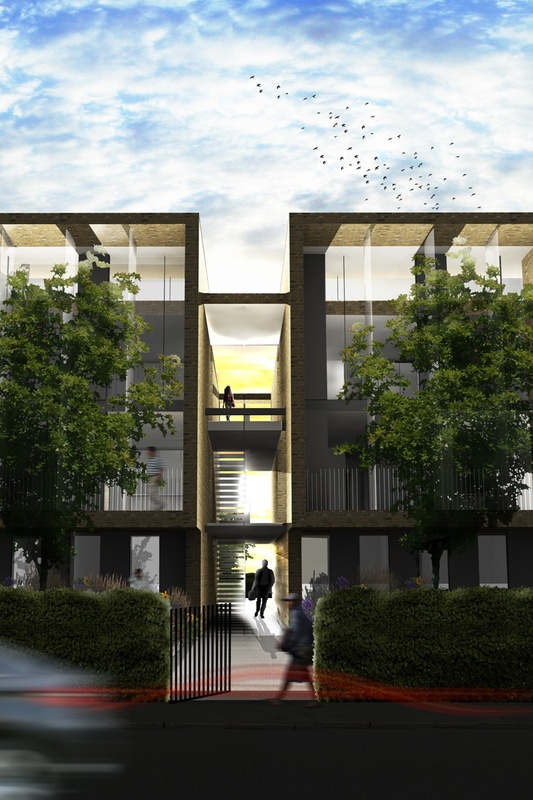 Feasibility study for a high density development comprising of 39 apartments with private amenity space at all levels. The proposal was formed of an ‘L’ shape block of residential accommodation which was set back from all boundary edges. 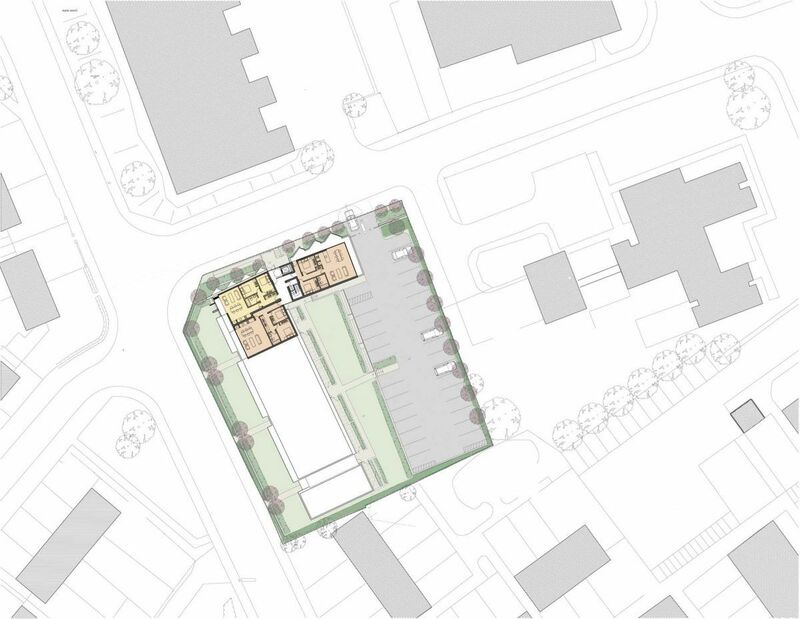 The building diminishes in height towards the south and east boundaries to respect the adjoining properties in scale.